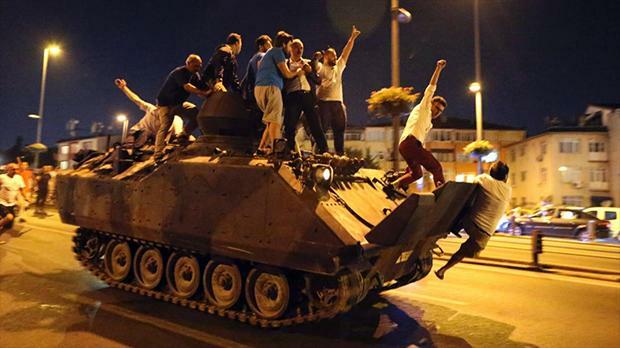 We witnessed an attempted coup in Turkey on the night of July 15. Despite its oddities, obscurities and uncertainties about the actors behind it, this was a genuine coup attempt. The failure of this attempted coup is to the benefit of our people. If the coup had succeeded, the working people already burdened with all the imaginable problems laid on them by the capitalist system would have had to face heavier and more destructive conditions. One needs to keep in mind that the coup plotters have a pro-NATO and Islamist orientation and they have been serving the international monopolies for decades.Another fact that one should keep in mind is that Fethullah Gülen emerged in the arena of politics within the ranks of the “Organization of the Struggle against Communism”. This organization was founded in 1960’s by the CIA.What is interesting and ironic is the fact that Erdoğan, the primary target of the coup, and the coup plotters share the same ideological and political background. Islamism, anti-communism and full loyalty to the capitalist class are defining characteristics of Erdoğan as well and just like Fethullah Gülen, Erdoğan has also played significant roles in the Middle East scenarios spearheaded by the U.S. There are a few reasons behind the recent tension between U.S., E.U. countries and Erdoğan. The failure in Syria, Erdoğan’s continuous triggering of tensions within Turkey, his creation of a large room for maneuver with electoral support behind him, his ‘out of control’ moves are some of the first reasons that come to mind. However, this tension has gradually become a factor in the contest created by the deep economic and political conflicts ongoing between U.S. and the forces under U.S. influence against the Russian Federation.As Erdoğan and his clique are in an existential struggle, facing domestic and international isolation, Putin administration, using ‘carrot and stick’ tactics, are advising Erdoğan to break ties with NATO or at least refrain from supporting NATO policies of Russia’s encirclement. Following the coup attempt, there are many within the government circles in Turkey who are accusing U.S. and E.U. and advocating for”collaboration with Russia”. Without a doubt, this current trend is not one preferred by the bourgeoisie of Turkey but the product of the government clique looking for a safe haven and extremely scared following the coup attempt. The dissolution of Turkey’s economic, political and military relations with especially Germany and U.S. can only be achieved by a socialist revolution. A change of axis within the current order will only increase the possibility of chaos, conflict, civil and international war. 2. The debate in the international press about whether”the coup was real or not” is a trap, one that should be avoided. What needs to be discussed are the nuclear weapons in İncirlik base, NATO’s covert operations, how and on whose behalf Fethullah Gülen founded this dark organization that serves the capitalist class in over hundred countries, the profits that tie Islamist Erdoğan and”secular” European leaders, the plunder of Turkey’s public resources by the international monopolies and the immense exploitation all workers and toilers in Turkey are subject to. 3. While seemingly against the anti-people government of Turkey, we need to stand against all interventions of imperialist centers and attempts of a”color revolution”. There is no good and bad capitalist. The insincerity of the statements by NATO and E.U. expressing concern about the issues of freedom and democracy in Turkey is obvious. The social liberation in Turkey will be the product of only the working people in Turkey. 4. Similarly, it is incomprehensible that Putin’s Russia is portrayed as the liberator. The position of the Russian Federation towards Turkey is totally pragmatic and is completely shaped by the interests of the Russian ruling class. Putin administration that extolled Erdoğan a year ago declared the same Erdoğan a war criminal following the downing of the Russian war plane and even handed the U.N. a file full of proofs. However a few weeks before the coup attempt, the love affair between Putin and Erdoğan war rekindled. We will not let the forces within the imperialist-capitalist world order be the ones determining the future of our country. 6. The history of Turkey is the history of coups, political assassinations, religious fanaticism and militarism. However, this is not all Turkey is about. Throughout its history, there have also been good developments in Turkey. The Republic of Turkey was founded as a result of the struggle waged together with the young Soviet Russia against an imperialist occupation. Since 1923, struggles against war, tyranny, capitalist exploitation never ceased to exist, with mass actions of the working class. An international communist poet like Nâzım Hikmet is the product of this country. The legitimate popular movement that rose up against the government three years ago also point to the fact that there also exists a different front in Turkey that recently witnessed the fight between two Islamist cliques. We are calling on you to follow the front of the workers, to stand in solidarity with them and to make its voice heard. 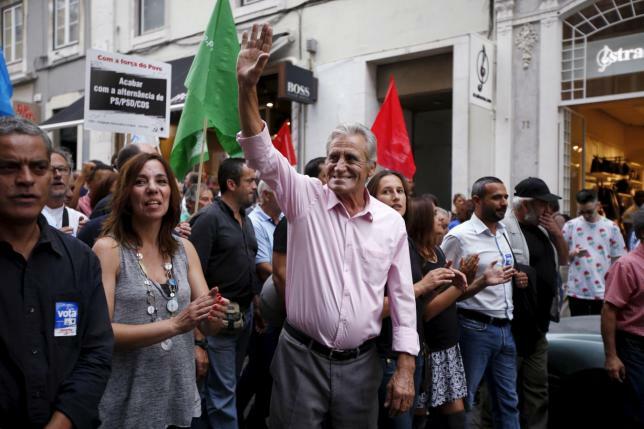 Against the capital, dictators, coup plotters of the monopolies, the working people, the revolutionary intellectuals and the communist militants have the tradition of internationalism. Down with imperialism, NATO, and the imperialist EU as the source of coups. They should be be dissolved.